Say hello to your new bulletin board best friend- why pay for just one bulletin board when you can have 16 different options! 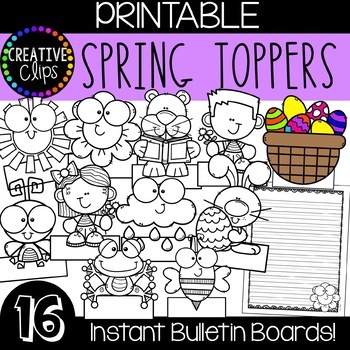 This pack includes 16 printable black and white toppers that can be paired with writing papers (also included) for an instant bulletin board display! 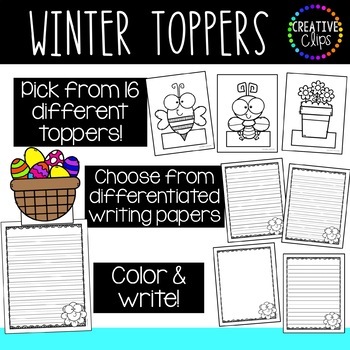 Just print, color, write and display! Creative Clips Creative Packs are for PERSONAL USE only and cannot be used in any products, freebies or distributed in any format.